Over the past week, Head and Heart Philanthropy, a social impact agency, got together to discuss how they could be more effective in closing gaps in the African American community. 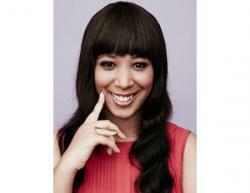 Founder Christal Jackson felt that it was time to focus their efforts on the Bay Area, given the rich growing tech ecosystem. The group spent two days at an investor’s roundtable, where they discussed life altering experiences and planning tangible next steps toward helping to further assist the community. Traditionally, Head and Heart Philanthropy has been known as a social impact agency that’s all about improving education as well as economic and health outcomes for people of color. The organization started roughly five years ago, with their signature convening in Martha’s Vineyard, MA. Since then, it has grown immensely and expanded. Now, they are attempting to address more focused issues, believing that this starts with access to capital. “The investor convening in San Francisco signaled a new era for HHP and an ongoing commitment to not only harvest our human and social capital, but also our financial capital to help our communities,” says Melissa Bradley, advisory board member . 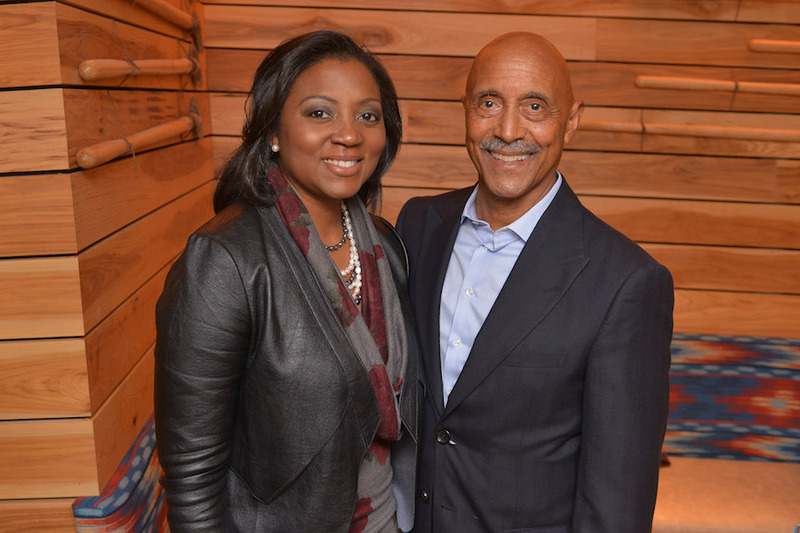 On day one, Head and Heart Philanthropy met at the Agave Uptown. 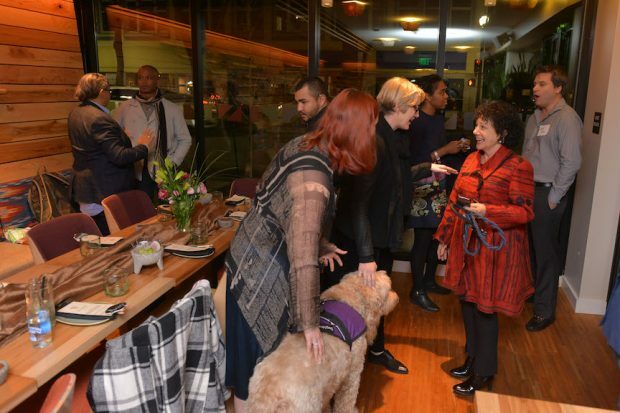 This event was held in association with the Kapor Center for Social Impact, an organization, and family known for removing barriers and closing the access gap. 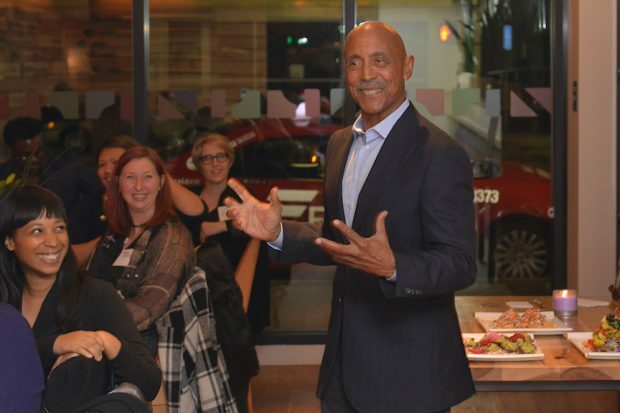 The evening started off with passed hors d’oeuvres and quickly escalated to fine dining accompanied by a speech given by one of the most prolific African American men in the investment community, Marx Cazenave. Before Cazenave took the stage, he was introduced by Base Ventures Founder Erik Moore, who rushed over from his daughter’s school, during critical STEM bonding time, to ensure that he gave Cazenave a proper introduction. That’s how important he is to the community. “After attending the Head and Heart Summit on Martha’s Vineyard, I knew that I wanted to play a key role in building this community. Â It was my pleasure to help launch the roundtable series with my mentor, Marx Cazenave, as the dinner speaker,” says Moore. Cazenave talked about his tumultuous experiences during his professional career, combating insane highs and lows in what sounded like an autobiography fit for the Hollywood screen. Through a period of heavy drug use and alcoholism, hiding his Black Panther affiliation from the FBI, and his business partner’s suicide, Cazenave was able to accomplish what many would never dream possible. His adversity resulted in a management group, Progress Investment Management, that currently houses over $8.8 billion assets under management. Listening to his story as the audience broke bread with each other was important, and grounded the group before they jumped into the next day’s activities. On day two, the question was posed, “How do we create an ecosystem that best services the community?” After going around and speaking to the various investors at the table, and hearing from banker Keith Mestrich, an overall consensus was defined. “The best way to move the needle and impact some of the problems we face is to foster strategic collaboration with measurable outcomes. We are going to focus on investors first and then start focusing on pipeliningÂ entrepreneurs into the system, although we have already startingÂ working with social entrepreneurs,” Jackson says. The goal is to take these meetings and ultimately turn them into a completely well manufactured ecosystem. 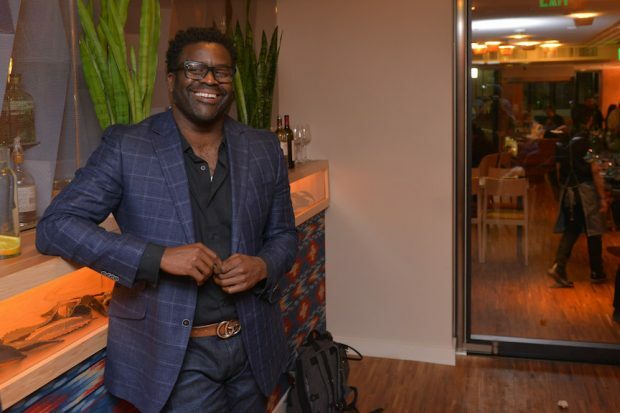 “The investor convening was a great start to a long-term agenda of moving money to help entrepreneurs of color and our emerging businesses, projects, and programs,” Bradley says.